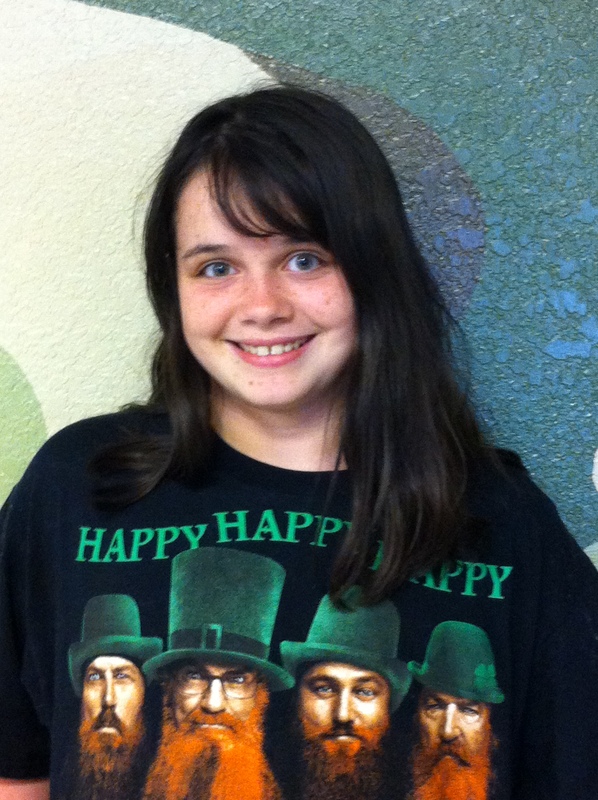 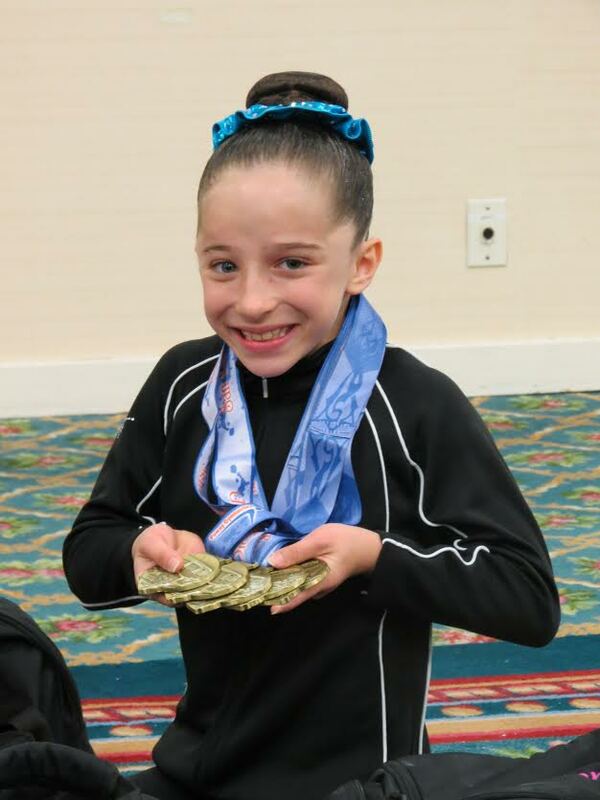 “We are so grateful to Discover Foundation for the partial scholarship that allows Eleni Rose to participate on the Level 3 team. 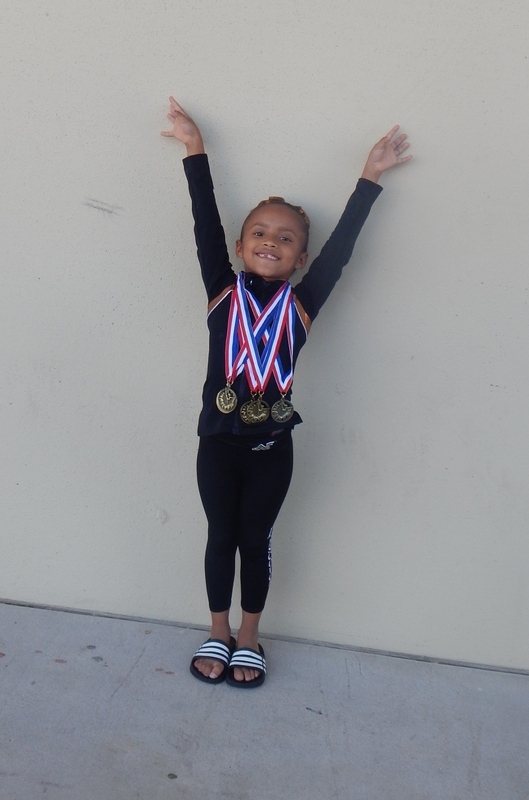 Coach Kenny approached us while Eleni Rose was in the recreational 4 year old class and suggested that she move up to Tiny Twisters in order to prepare her to compete competitively. 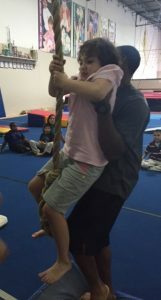 One of the “words of the week” that Coach Kenny had taught the 4 year olds that year was “determination”. 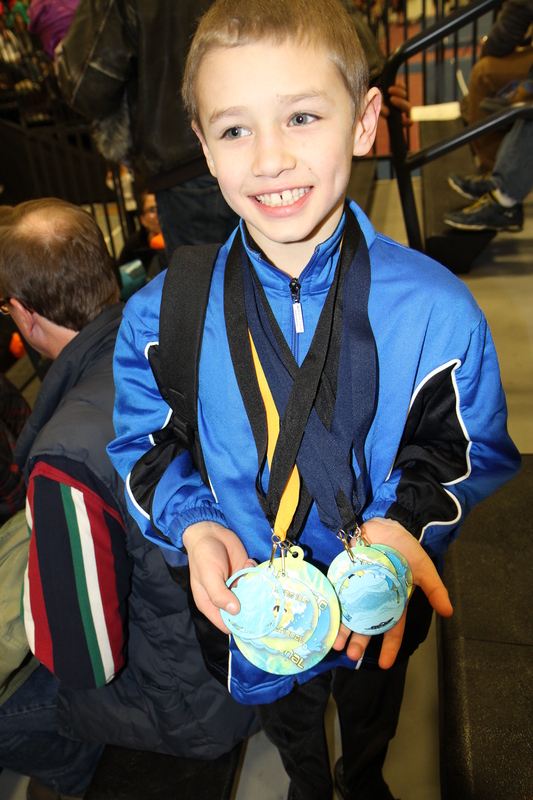 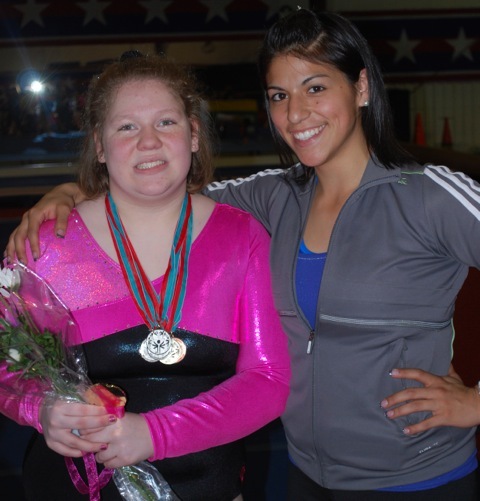 Eleni Rose latched onto that as a four year old, not only in gymnastics but in other areas of her life. 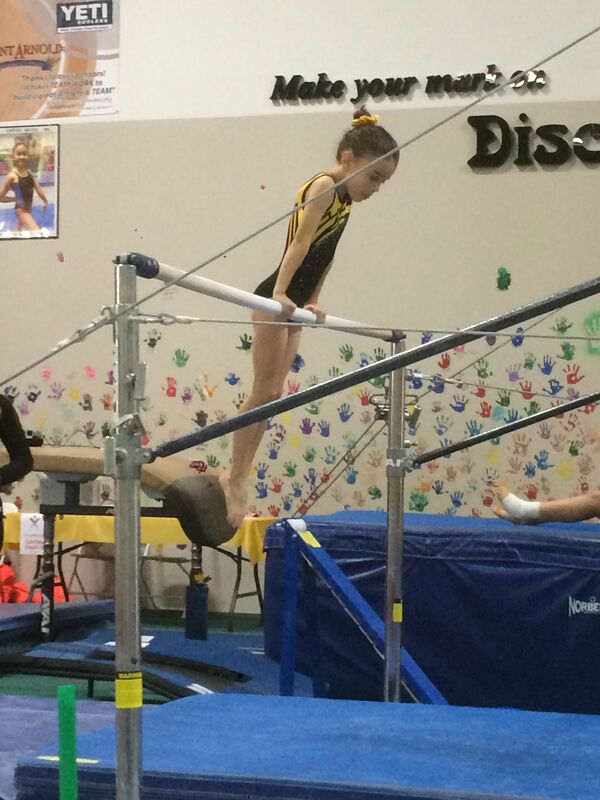 Her determination to train, practice and master new skills has been humbling for me to observe as her parent. 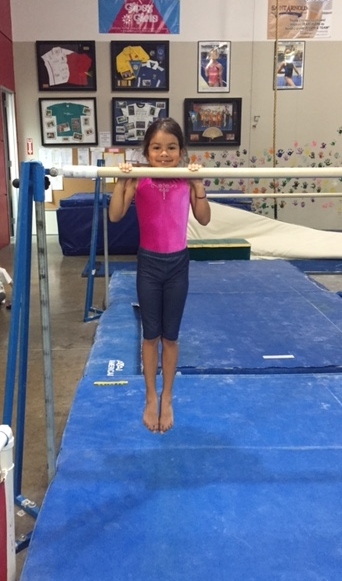 I asked her once, what her thoughts are as she is ready to start her floor routine during a meet and I was stunned to hear her say, “I just say, okay, I’ll do it”; This sums up for me what gymnastics has given Eleni Rose; poise, confidence and faith to execute when she’s put in the hard work. 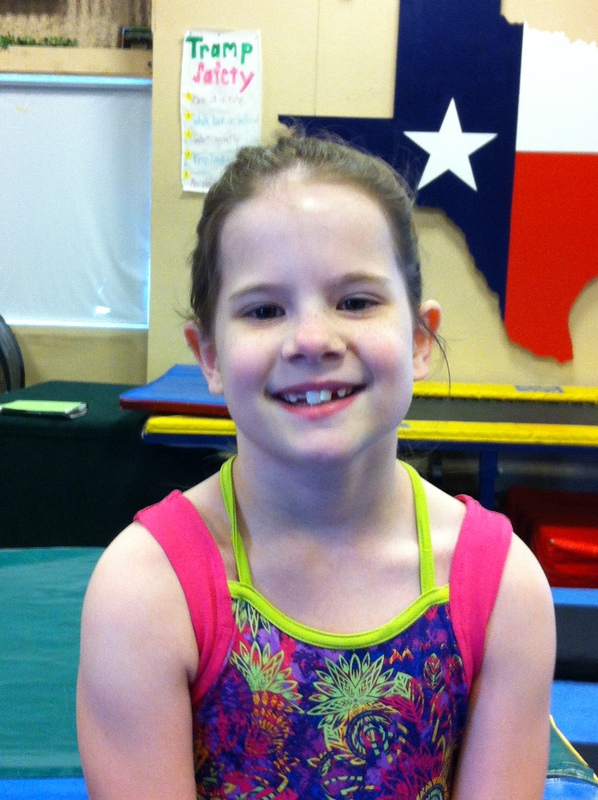 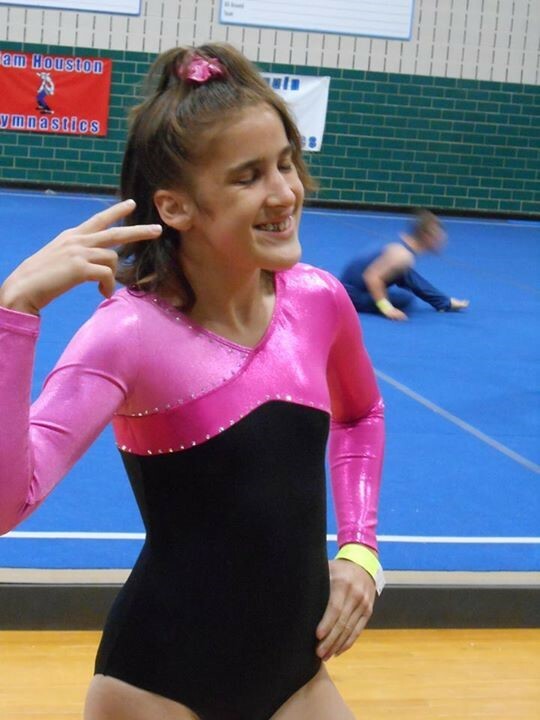 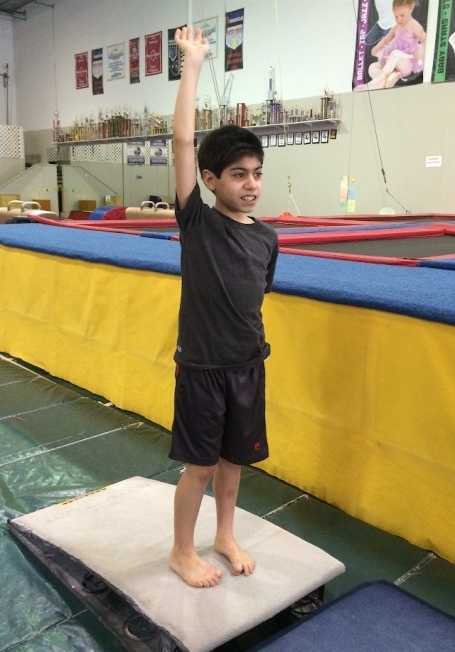 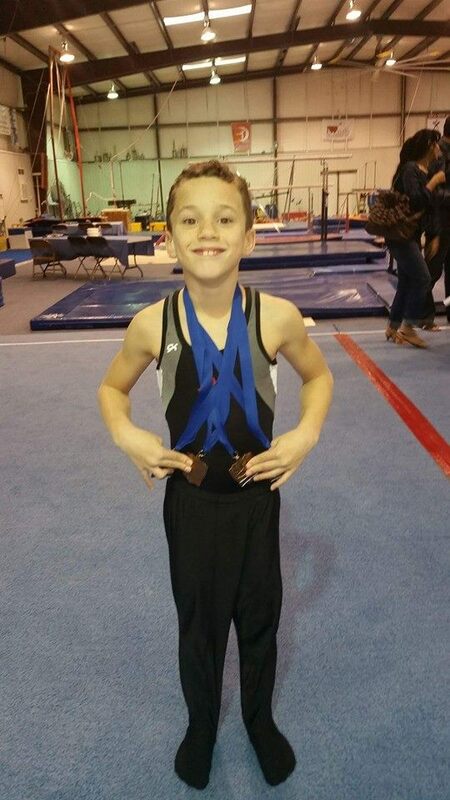 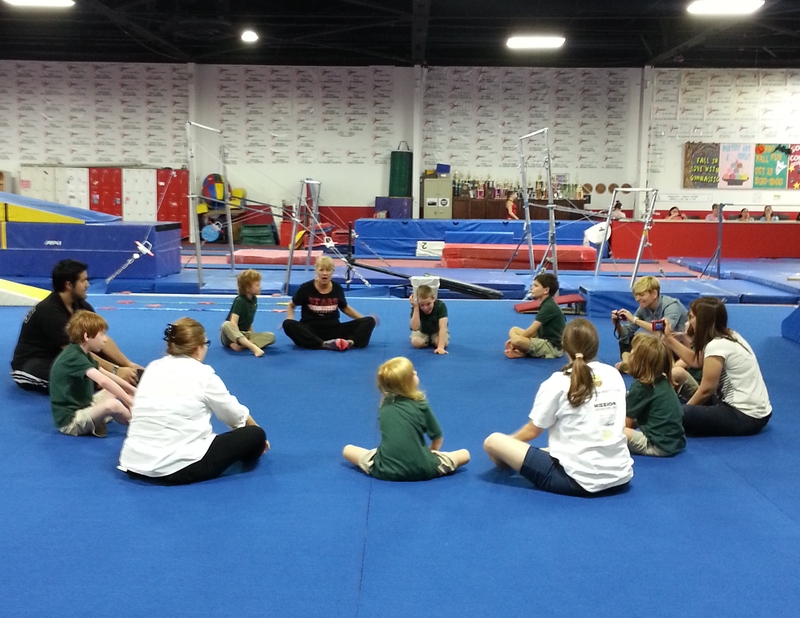 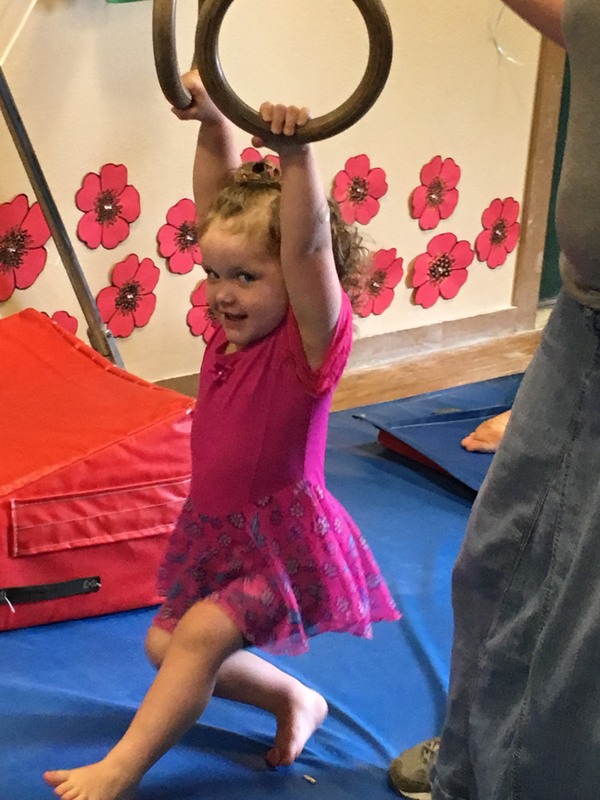 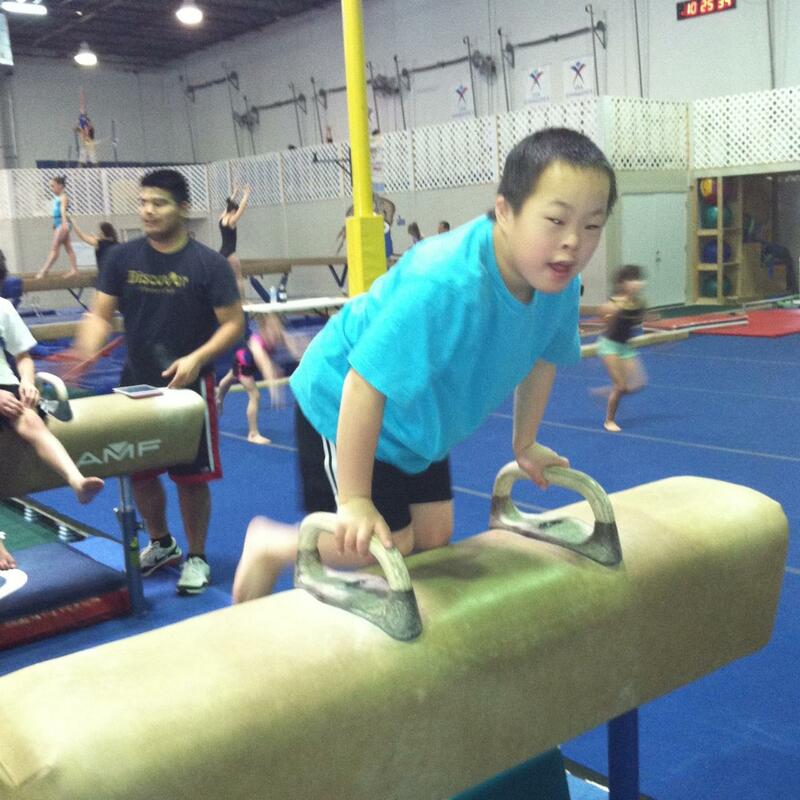 “Our daughter has greatly looked forward to each day that she has participated in the gymnastics program provided by the Discover Fitness Foundation. 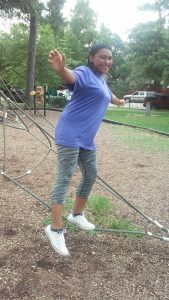 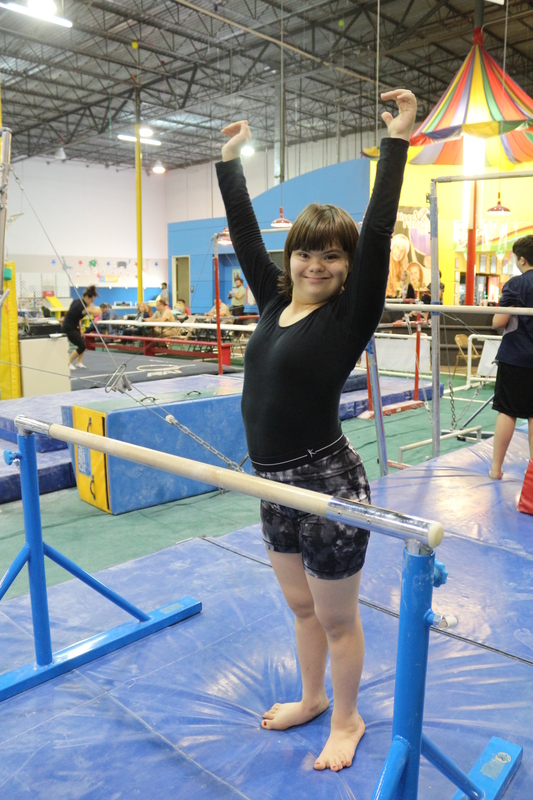 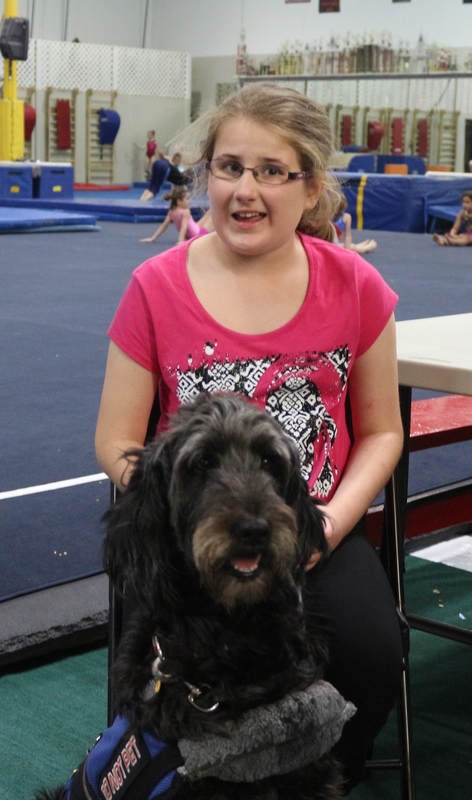 It has provided her the opportunity to experience movement activities on various forms of gymnastics equipment that she does not have regular exposure to and she has not been given the chance to do so in safe, but fun and creative manner.